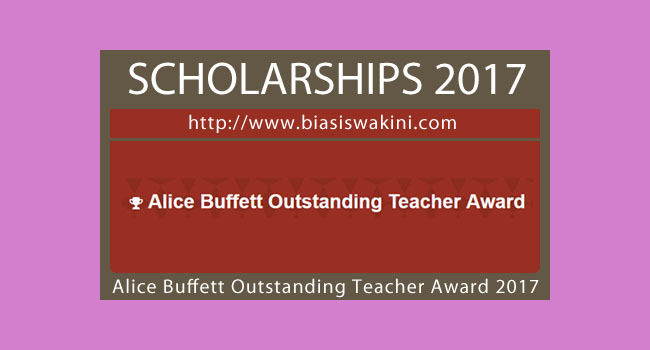 The Alice Buffett Outstanding Teacher Award 2017 recognizes the achievements of skilled and dedicated educators in the Omaha Public Schools (OPS). Given to 15 teachers annually, the Award has recognized and rewarded nearly 300 teachers over the past two decades. Any Omaha Public Schools teacher or counselor (Pre-K through 12), with a minimum of two years experience, is eligible for nomination. - $500 in McDonald's gift cards Nominations are closed for this award year, and will reopen in August 2017. 0 Komentar untuk "Alice Buffett Outstanding Teacher Award 2017"